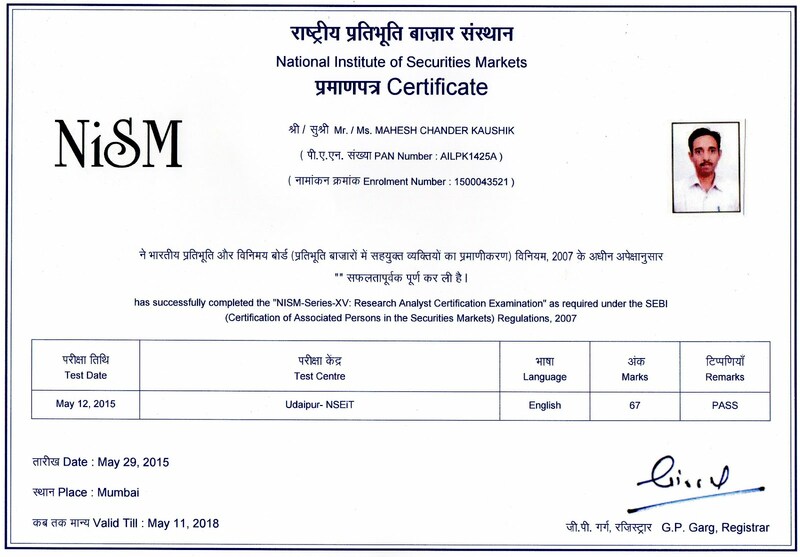 I Mahesh Chander Kaushik is a NISM Certified SEBI Registered Research Analyst My Reg no. INH 100000908 This Blog Publish Research Reports for 1 to 3 year Positional Delivery Buying. ( Not Useful for F&O and Intra-day Margin Trade) This Blog Not Give Investment Advice Read Disclaimer Before Follow any of My Stock Idea. Only Dividend Paying Multibagger Stocks with Strong Fundamentals will Publish on This Blog. 1.Bhagyanagar India Ltd is a 2 rupee face value diversified company which have telecom cables, solar power and wind power business. 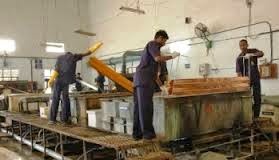 2.Bhagyanagar India Ltd hold stocks of Surana Telecom & Power Ltd manufactures Jelly Filled Cables at its manufacturing facility situated in Hyderabad & Goa and produces cables from the range of 5 pairs to 800 pairs with a total production capacity of 2.9 millions CKM. This unit is approved and recognized by BSNL, MTNL, Indian Railways & Private Telecom Operators. 3.Surana Telecom & Power Ltd has already started manufacturing of SPV Modules with production capacity of 12MW per year. The Module ranges from 5W to 220W. It has set up a joint venture with Bhagyanagar India Limited. The joint venture company is Surana Ventures Limited. 4.Surana Telecom & Power Ltd is in collaboration with Suzlon has setup wind power generation to produce 1.25MW of wind power and is in the process to expand to 5MW. 5. Year high of Bhagyanagar India Ltd is 15.15 Year low 8.65 so year high/low ratio is below 2. 6.Net revenue per share per year of Bhagyanagar India Ltd is 32.31 So we easily get a target over 20. 7.Bhagyanagar India Ltd pay INR 0.40 per share dividend since last 5 years. 8. Promoters holding in Bhagyanagar India Ltd is 72.84 % which increase from 71.25% so increasing in promoters holding is very good point. 9. Base price ( as my book 3 year average price of Bhagyanagar India Ltd is 14.65 so we are not so late to buy this stock. 10.I have no any share of Bhagyanagar India Ltd but plan to buy 300 in my wife trading account. disclaimer:-Trading in stock market is very risky. This website is not perfect. This is not an advisory service to buy or sell. The contents of “maheshkaushik.com” are only for educational purposes. No liability is accepted for any content in “www.maheshkaushik.com”. Subject to pindwara(india) jurisdiction only. The author is neither a registered stockbroker nor a registered advisor and does not give investment advice.. While he believes his statements to be true, they always depend on the reliability of his own credible sources. The author recommends that you consult with a qualified investment advisor, one licensed by appropriate regulatory agencies in your legal jurisdiction, author of this website is not a trend technical analyst. 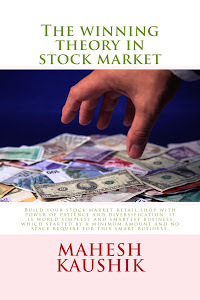 My bestselling book publish from USA "The winning theory in stock market"